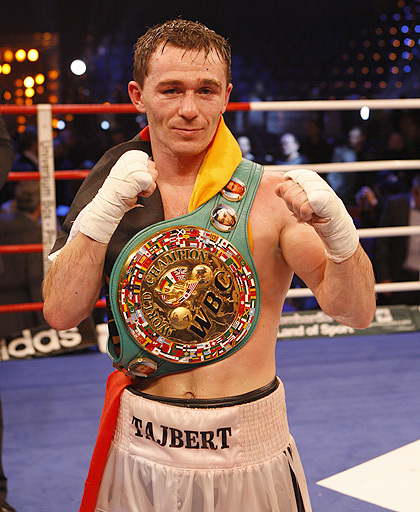 Former WBC jr lightweight champ Vitali Tajbert, at his best a brilliant boxer, is mandatory challenger for EBU ruler Ermano Fegatilli. The EBU have set March 20 as deadline for purse bids or agreement. However, Vitali have a handinjury that is currently under examination and surgery may be necessary. In case of surgery Tajbert probably won´t be able to fight Fegatilli. Either way Universum is optimistic that Tajbert, now trained by Michael Timm, will be back and fight for a world title at the end of the year.